We offer graduates a place on our three-year Graduate Programme, inclusive of an international assignment. Graduates are supported by performance management and mentoring. The graduate development programme offers ambitious candidates a challenging and rewarding start to a successful career. 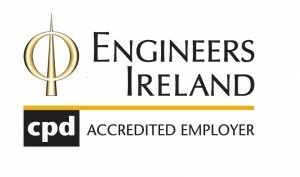 Soft skills training – Engineers Ireland and accredited by D.I.T.